Meteorites fall from the sky but seldom onto the heads of science dons in redbrick universities; yet this is what happens to Professor Pluckrose of Nestfield University. Inspector Appleby soon discovers that the meteorite was not fresh and that the professor's deckchair had been placed underneath a large, accessible tower - he already knew something of academic jealousies but he was to find out a great deal more. One of my favorite Innes books. Listened to it several times and I'm sure I will again. Great narrator. 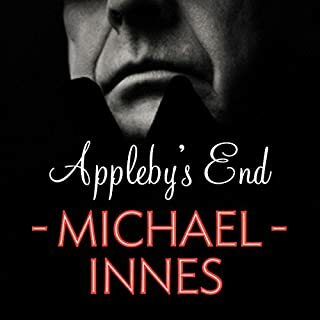 Available to download for the very first time, the fantastic Inspector Appleby series by celebrated crime writer Michael Innes.Appleby's End was the name of the station where Detective Inspector John Appleby got off the train from Scotland Yard. The book begins dark and slow, and the narrator doesn't hit a rhythm for a few minutes but my recommendation is don/t miss this one. Delightfully funny and fun to listen to again. Appleby meets Judith, who is featured as his wife in Appleby at Allington, and the dialogue with her is the Innes style that I love. The narrator does a good job at keeping the characters distinct and capturing their strangely amusing wierdness. The plot is just clever and certainly not intended to be anything but a fun story. Campion's glorious summer in Pontisbright is blighted by death. 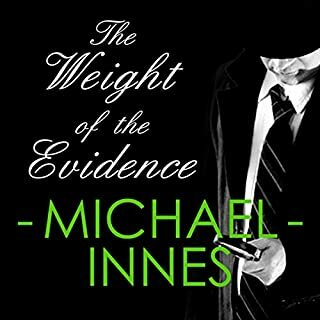 Amidst the preparations for Minnie and Tonker Cassand's fabulous summer party, a murder is discovered and it falls to Campion to unravel the intricate web of motive, suspicion, and deduction with all his imagination and skill. Ditto about this being impossible to listen to or understand. The big problem may be that it is a hachet job abridged. Still don't get what is was supposed to be about. Change occurs everywhere, even in the small fictional community of Thrush Green in the British Cotswolds. 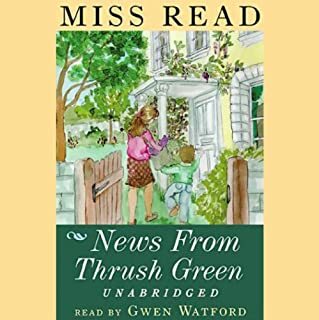 Dorothy Watson and Agnes Fogerty have taught at the school for as long as anyone can remIn this glowing novel of love lost and love found again, the Thrush Green cottage known as Tullivers has remained unoccupied for years. But suddenly it begins to show signs of life. Of the four Audible currently has, this is the first. But the whole series is more than 10 books written between 1950 and mid-1990's. Check wikipedia for the list. 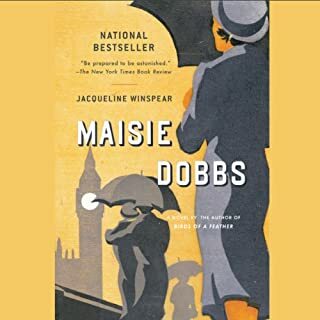 The books follow the same characters as they grow up and get married and have children or as they remarry late in life or deal with aging and propsects of their own death. 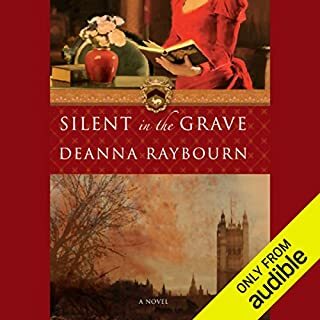 Gwen Watson is the perfect narrator. She makes every character so human and not at all over-acted. These books are relaxing, amusing, sad at times, with some quirky characters that I just love. You just have to meet the eccentric Dotty Harmer in her project to find good homes for a litter of stay kittens. I enjoyed these so much I bought the print version of the first title in the series. Here's a quote from it that seems to capture Miss Read's philosophy: "People nowadays seemed too busy for gaiety, and what was worse, appeared to frown upon innocent enjoyment. Life was too dreadfully real and earnest these days, thought Mrs. Bailey, and all the young people were middle-aged at twenty. If only people would realize that light-hearted and gay things were not any less significant than the violent and brutish, what a step forward it would be. Because a song, a book, a play, a picture or anything created was gay, it did not necessarily follow that it was trivial." After "News from" listen to "Battles at Thrush Green." I love Maisey. Like no other fictional detective! I agree 100% with what the other reviews so far have said. But the subject matter is so very sad. It works for so many people but I'm not sure I will be able to continue the series. This fiction is too much like non-fiction. I look to novels to get a bit of a break from it all. As detective fiction goes, I enjoyed this and plan to listed to the next in the series. But ditto to the reviewer's comment about the need for more editing. Really tiresome at points -- millions of repetitive, unanswerable questions (who am I?) that can't be answered b/c of total amnesia. In print you can skim that stuff but for audio, I might recommend an abridged version. 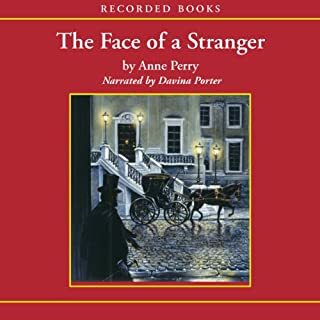 I like Davina Porter much better than most narrators, and, for me, narrators are as important as the novel itself. 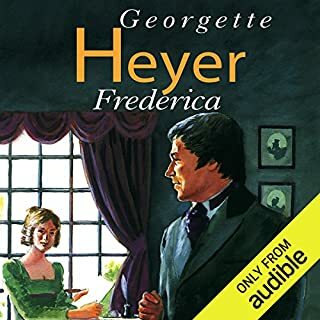 Enjoyed this very much as I have with most of Heyer's books. 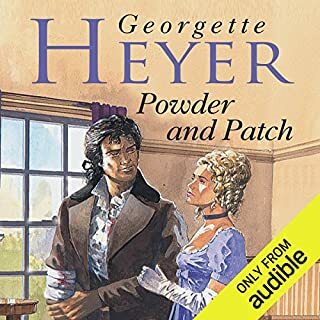 Glover is a great actor and narrator but I always feel that the male narrators don't have the vocal range needed for all of Heyer's female characters. So often they come across like Cleone does in this version - shrill and excessive. I'd like to hear Cleone interpreted by Eve Matheson or Sian Phillips. I think the role would be more subtle and less hysterical. Cleone is playing games - she laughs early on when Phillip leaves the room in anger and she laters asks to be taken to a separate room where she plays dice (an unladylike thing to do as Heyer notes), which is what gets her in the situation. I'd like to hear it read with Cleone staying pretty much in charge until the end when she's at risk of being genuinely embarassed by the locket. Tried twice but the annoying personalities are so very annoying with this narrator. I re-read the Audio review and it says everything I would say about the narration. Should have read it more carefully. But, like seeing a play performed, you're getting an intrepretation of the characters. 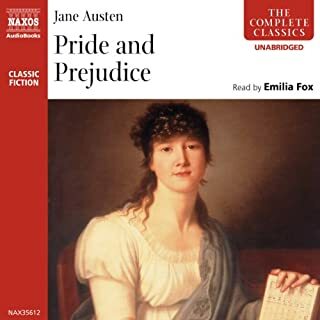 Great plot, great theme (pride and pre-judgement), amazing in its historical context but the interpretation of the characters makes them seem simply absurd --I couldn't take them seriously. And when a book is 13 hours long, someone should consider the percentage of time the listener has to listen to irritatating people in order to finish the book. Just read the previous reviews before you buy. Most people love it, some people hate it. Ditto for the narrator. Not at all my idea of a romance, which is fine, but I agree with someone else about the creepy male lead. Plot moves slowly and I found myself skipping around to see if I wanted to finish it. Julia is a strong personality and interesting in many ways but I never warmed to her enough to care what happens to her. So it comes down to unraveling the mystery. The ending just depressed me and I was glad to be done with it. As one reviewer said "smartly hilarious," which is true for the Nonesuch and Friday's Child. 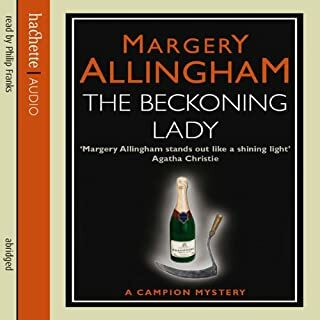 I prefer those because i love Eve Matheson's voice and I generally prefer femail narrators for Heyer, but this was great and worth listening to a second time.